1.) Graphic novels provide motivation for reading. They are often published as a series, so when students find a story that interests them they have different plots to explore. They are also accessible to many students. Struggling readers, unmotivated readers, and avid readers alike will find them a quicker read filled with plot and action. Finally, a lot of graphic novels deal with themes and genres that are popular to younger readers, including fantasy, science fiction, and realistic fiction. 2.) Graphic novels teach plot, character, and connections. As any teacher who has marked student created comic strips can attest, it can be really hard to take a story and turn it into a book where words and pictures take equal space in the story. 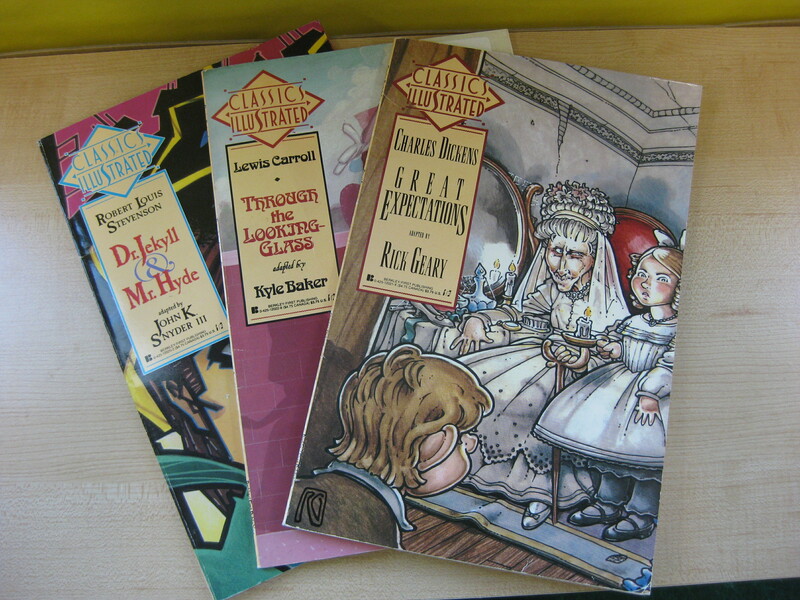 Graphic novels teach students that the pictures tell the story just as much as the plot, and that the pictures can be clues for the meanings and themes in the novel. The reactions of the characters, or the pictures that show actions without dialogue, help students make inferences and predictions based on a limited amount of information. Students can make connections and use the pictures to gain a better understanding of the text. 3.) Graphic novels place a struggling reader on an equal footing with his or her classmates. I will never forget the day an ESL student corrected me on a detail when I was teaching Greek myths. Her source? She had read a graphic novel, and she was so proud that she could participate in the class discussion. Graphic novels give struggling readers an opportunity to read a book or a series that is popular with the rest of the class. It allows them to be part of a group discussion or debate because they have an easier access point to the information. Articles that talk more about using graphic novels in the classroom can be read at The Book Whisperer’s website and at the American Libraries Magazine website. 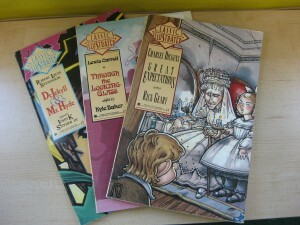 As well, if you know of any good graphic novels for adolescent readers, please let me know.